David Alexander works in the Institute for Risk and Disaster Reduction at UCL. He teaches emergency planning and management. His books include "Natural Disasters", "Confronting Catastrophe", "Principles of Emergency Planning and Management", "Recovery from Disaster" (with Ian Davis) and "How to Write an Emergency Plan". He is the founding Editor-in-Chief of the International Journal of Disaster Risk Reduction, and Vice-President of the Institute of Civil Protection and Emergency Management. His research interests include natural hazards, earthquake disasters and disaster planning and management. He is currently working on a new book on emergency management, a companion to his recent emergency planning volume. David Alexander is an Italian citizen and resident. His experience of Italian disasters extends over 49 years. The L'Aquila earthquake was the first Italian seismic disaster in almost a century to have an epicentre close to a major concentration of population (in fact, it was 3.4 km from the city's geographical centre). Despite being of moderate power, the tremors did a huge amount of damage and killed 308 people, a total that could have been much higher if people had not been warned by the occurrence of violent foreshocks shortly before the main shock. The disaster once again revealed the high seismic vulnerability of building stock in Italy. It rejuvenated the national debate about the role of retrofitting and insurance. But once again no definitive answer emerged. In the aftermath of the 1908 Strait of Messina earthquake and tsunami, the Prime Minister of Italy, Giovanni Giolitti justified the small and slow response by informing the Italian public that it was not the purpose of government to provide much disaster aid: that was something that citizens needed to organise for themselves. This was liberalism in action. However, by the time of the 1980 earthquake in Irpinia-Basilicata, it metamorphosed into a form of state-sponsored largesse termed 'assistentialism' (a sort of ironic comparison with existentialism). As time wore on and the world became dominated by neoliberalism and austerity, the question arose as to whether there would be a return to liberal individualistic values based on a weak state. The answer has not been clear-cut or simple. In 2000 Italy briefly flirted with the idea of privatising disaster assistance. This notion was the subject of implacable opposition. 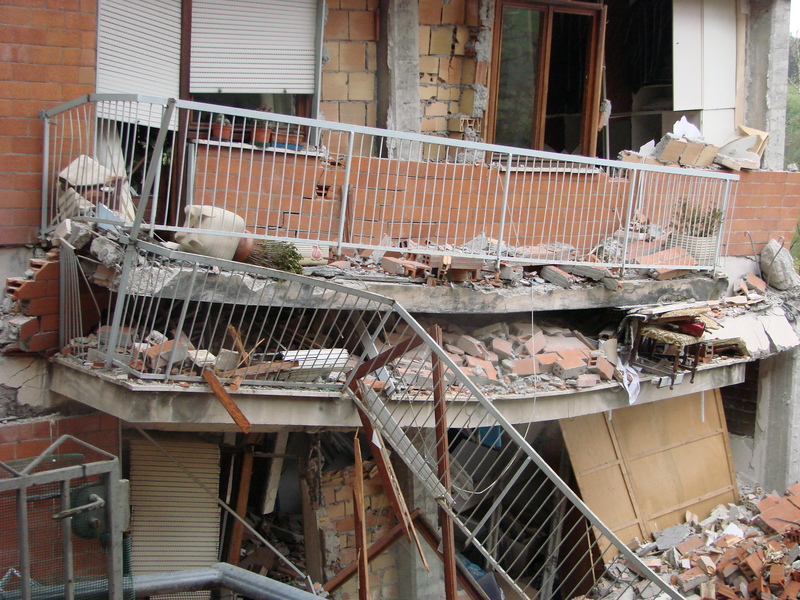 A decade later it flirted with the idea of socialised earthquake insurance: it was found to be too expensive, and there was the risk that it would discourage people from retrofitting homes and other buildings. 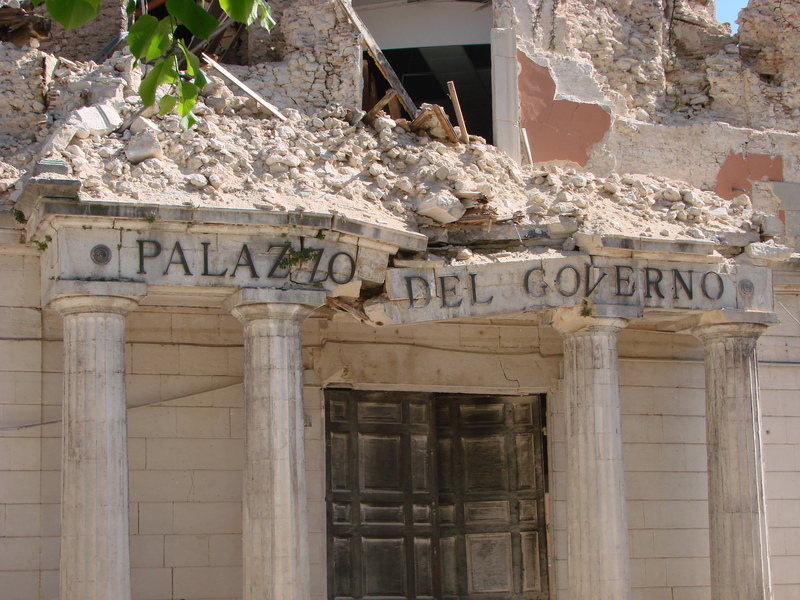 Neither neoliberalism nor assistentialism dominated the response to the L'Aquila earthquake. Instead, as the complexities of politics demand, there was a mixture of both. An injection of government funds provided 185 solar-powered, base-isolated "antiseismic" apartment blocks intended as temporary housing for 15,500 people. Always ready for a piece of self aggrandisement, the Premier inaugurated these housing complexes by presenting each resident family with a government-branded champagne cooler to help them celebrate. The apartments cost more than the value of similar-sized accommodation in a major metropolitan city, yet they were grouped together in enclaves that lacked most basic services (such as wastewater treatment, community centres, shops and bus services). In contrast, the real reconstruction was slow to take place. As any bureaucrat knows, one of the best ways of reducing expenditure is to invent labyrinthine procedures and make sure that it is difficult to understand and follow them. This strategy was carefully practised in L'Aquila. Time is socially necessary in post-disaster recovery. It enables consensus to be built and reconstruction options to be explored. However, in the case of L'Aquila, 'time' meant a chance for the weeds to grow amidst the rubble. The response of the population was recurrent "wheelbarrow protests", but four million tonnes of rubble could not be removed by wheelbarrows. The base-isolated housing was a radical departure from previous policies on transitional shelter. It involved three-storey units, each of which consisted of 12 small, compact apartments. The design of these units, and the urban design of their settings, were highly questionable. 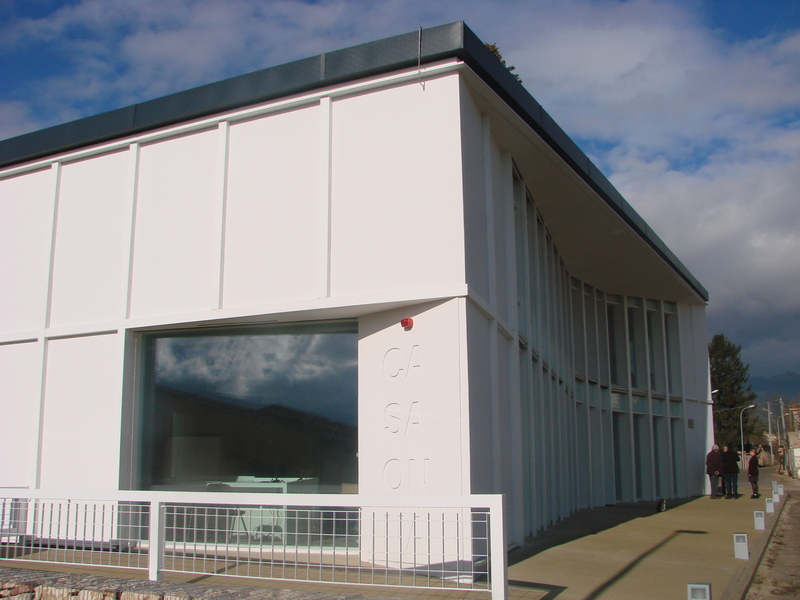 Regarding any forthcoming significant earthquake, it is estimated that up to 12 per cent of the base isolators will fail, yet the buildings on top of them have not been built to anti-seismic standards. Two thirds of the cost per apartment, which averaged 280,607 euros, went into the urbanisation of sites, some of which were prime conservation land. The intention to build a sort of 'green belt' around L'Aquila city was ill-thought-out and took no account of the inadequacy of local infrastructure, or of the psychological problems that would come from stranding city dwellers in open countryside. The result after seven or eight years was a heterogeneous mixture of restored, occupied buildings, restored buildings yet to be occupied, buildings undergoing restoration, buildings that were buttressed but abandoned, buildings left to decay and collapse, and empty building plots. As little effort had been made to restore the local economy, stagnation was a feature of the whole post-earthquake landscape. True, the government enacted enough measures to keep the University of L'Aquila going as the dominant local employer, but many professional people left the area because they had nowhere to practise their professions. Female employment was particularly hard hit. One has to admire the determination of Italians to rebuild their historical monuments after major disasters, which in the case of L'Aquila included 11 historic churches and numerous ancient and noble palazzi. However, over the last decade visitors have been struck by the lifelessness of the city. A better strategy would have been to restore it organically and holistically, neighbourhood by neighbourhood, with attention to productive capacity and supporting infrastructure, starting at the centre and working out. This would have gradually reanimated the city and given it function and purpose. It would also have allowed experts to repair the urban fabric, rather than its individual elements. The Aquilan experiment with almost instantaneous post-seismic 'new towns' was paid for, at enormous cost, by European Union structural funds. According to EU audits, this money was not formally misused, but the European Union decried the decision to spend so much on housing that was designed to last only about ten years. How very different was the Italian strategy from the Japanese approach, post-2011 tsunami, in which a social contract with the displaced had them living in cramped, basic accommodation but with the understanding and trust that after seven years they would be moved into proper permanent housing. That is never the case in Italy. Indeed I have in my library a book written in the 1980s by a priest, Don Dante Paolini, and entitled The Divine Comedy Updated. In this modern take on Dante's great epic, the third circle of hell is inhabited by earthquake victims, condemned for evermore to live in transitional housing. Much more could be said in retrospect about the last ten years of the L'Aquila earthquake tragedy. Hindsight is, of course, both valuable and a dangerous distortion of the moments and periods that people actually lived through with all the limitations of knowledge about what might happen next. I would like to end with a consideration about the local population, the Aquilani, a mountain people with a strong ability to weather adversity (call it resilience if you will, but I lack the temerity to go that far). Disaster subcultures, we know, produce emergent groups. These have agendas related to recovery, cultural survival, bouncing forward to greater safety, better quality of life, and so on. Several such groups emerged in the aftermath of the L'Aquila earthquake, but none of them has been particularly successful. Why not? After all, the stimuli for local activism were visibly present. I once had a close friend who was a distinguished meridionalista, a student of and advocate for the development of the Mezzogiorno, the south of Italy. He warned foreigners not to come to the southern provinces and interpret life there by means of the classics of literature on the peasant culture, Carlo Levi's Christ Stopped at Eboli, Ernesto de Martino's Magic and the South (Sud e magia), Ignazio Silone's Fontamara trilogy, and so on. True but false. The twentieth century feudalism described by Silone in Abruzzo cannot be dispelled by iPads and Mercedes cars. Exploitation, suspicion, social fragmentation--old traditions die hard. I fear that behind the veneer of modern resilience ancient battles are still being fought. Base-isolated but seismically vulnerable. 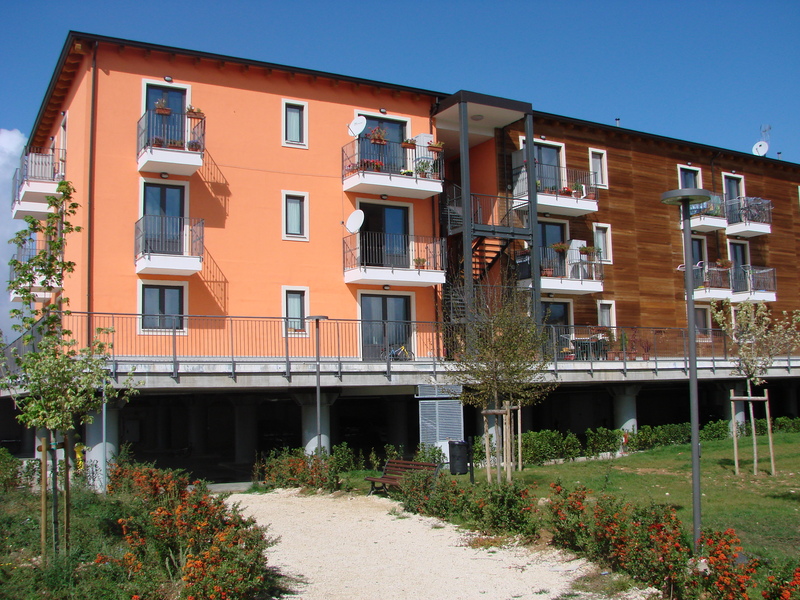 Transitional housing in the Aquilan 'new towns'. The Complessi Antisismici Sostenibili e Ecocompatibili (CASE). Failure of the State. This Provincial Prefecture was to have been a nerve centre of emergency operations. Instead, it was ruined by earthquake damage. They left home during the foreshocks but returned inside. Their bodies were recovered from the compressed space at the centre of this picture. Were they misled by the state's advice? A community centre for surviving residents of Onna village – provided by the State, but the German, not the Italian, State.